David Farber is Distinguished Career Professor of Computer Science and Public Policy in the School of Computer Science at Carnegie Mellon University holding secondary appointments in the Heinz School of Public Policy and the Engineering Public Policy Group. In 2003, he retired as the Alfred Fitler Moore Professor of Telecommunication Systems at the University of Pennsylvania where he held appointments as Professor of Business and Public Policy at the Wharton School of Business and as a Faculty Associate of the Annenberg School of Communications. In 2000, he was appointed to be Chief Technologist at the US Federal Communications Commission while on leave from UPenn for one year ending in early June 2001. While at UPenn, he co-directed The Penn Initiative on Markets, Technology and Policy. He was also Director of the Distributed Systems Laboratory - DSL where he managed leading edge research in Ultra High Speed Networking. He is a Visiting Professor of the Center for Global Communications of Japan -- Glocom of the International University of Japan, a Member of the Markle Foundation Taskforce on National Security, and a Member of the Advisory Boards of both the Center for Democracy and Technology and EPIC. 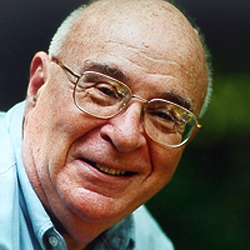 He is a Fellow of both the ACM and the IEEE and was the recipient of the 1995 ACM Sigcomm Award for life long contributions to the computer communications field. He was awarded in 1997 the prestigious John Scott Award for Contributions to Humanity.